India's tuberculosis nightmare could be much worse than feared. A new study analysing the sale of anti-TB medicines across India has estimated that there could be two times more drug-sensitive TB patients than currently assumed. 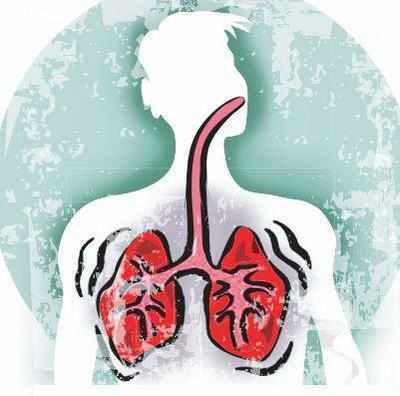 While it was assumed that India's annual burden of TB cases stands at roughly 2.2 million a year, the study to be published in The Lancet Infectious Diseases journal on Thursday pegs this number at over 3.8 million in 2014. This excludes drug-resistant TB cases. The study, jointly done by the Indian government, the Imperial College of London and the Bill & Melinda Gates Foundation, confirmed what has long been suspected: more Indian TB patients seek treatment in the private sector than the public sector. Dr Sunil Khaparde, who heads the Central TB Division and is an author of the Lancet study, said, "We realised the number of patients coming to the private sector were underestimated, but the new study looked at medicine sales and found that this number alone could be as high as 2.2 million as against the 8 lakh we had previously estimated." It translates into a three times jump in the number of cases in the private sector. The study's main author Dr Nimalan Arinaminpathy, who is from the School of Public Health at Imperial College, said, "TB is a major global health issue, and India bears a large proportion of the world's TB burden." In fact, it is estimated that India accounts for a fourth of all TB cases. "The private healthcare sector is a major issue in controlling India's TB epidemic, but so far we haven't had a clear idea of the size of the problem: how many patients are being treated in the private healthcare sector, and how does this compare with the public sector? We have so far relied largely on informed opinion, but in this study we aimed to address this question through quantitative data," he said. Using data of drug sales collected by IMS Health, he found that India's TB burden in 2014 was 3.8 million instead of 2.2 million. Santacruz-based private practitioner Dr Yatin Dholakia said the fact that India has a higher burden of TB is an "open secret". In a study published in the Indian Journal of Tuberculosis in 2004, Dr Dholakia had found that "in just one Mumbai ward of Andheri," for the 94 cases registered with the government programme, there were 363 cases in laboratories and radiology centres.